"You met them in the Order of the Dragon Knights. Now, journey to the realm of the Fae and witness their legends!" A warrior sentenced to die. 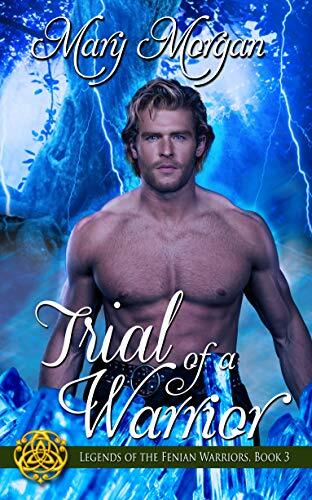 On trial for breaking a supreme Fae law, Fenian Warrior, Liam MacGregor has no regrets. He is prepared to accept his sentence—even if it means his death. However, freedom comes in an unexpected manner, and brings with it certain dangers as he travels through the Veil of Ages. A princess honor-bound to remain hidden. Princess Abela might be a priestess and the daughter of royalty, but that doesn't prevent her from doing the unimaginable. She sacrifices duty and honor to set free the man who captured her heart so many years ago. No matter the severity of his crimes, she cannot let Liam die. A rescue that will bring about a war and divide a kingdom! In their quest to secure a treaty to forestall Liam's death sentence, they must fight their desires for one another, as well as the Fenian Warriors sent to capture them.